My four-year-old is a fountain of questions these days & he wants to know how everything works. I'm really looking forward to bringing him to the Vancouver Mini Maker Faire this year. It's a huge show & tell put together by people who love to learn how things work & have brought their projects to show off to curious people like my son. Kids learn better through experiential learning & Maker Faires are designed just for that: to experiment, ask questions, & try out the interesting things that showcase the best of Vancouverites' ingenuity. VMMF will have a Lego Lounge this year, which will give your little the chance to build to their hearts' content with everybody's favourite plastic bricks. Get your daughter interested in STEM by meeting makers at VMMF who are more than willing to answer a million questions & show her how much fun science, technology & electronics can be. Speaking of science, you should visit the Living Lab at VMMF, a research partnership between UBC and Science World. At this exhibit, researchers will showcase methods and studies of child development, providing a hands-on opportunity for children and their caregivers to learn more about social and cognitive development. Visitors can also learn about exciting new research happening in the Living Lab at Science World and our UBC-based Early Development Research Group. What would a Maker Faire be without funny hats? 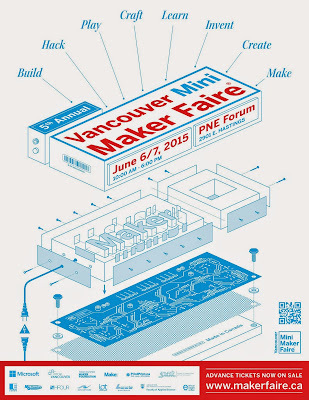 Drop by Vancouver artist Sjors’ booth to make and decorate a paperbag hat! Tonnes of fun for young and old alike. Be creative, be bold, be colourful, be sparkly, be minimal – it’s all up to you! This is low-tech fun; no app required. Yeah for art! Kids age four & under are free. If your kids are older than that, you can get a family pass for just $41 if you buy in advance. Tickets are available at the front gate June 6 & 7. Kids under five are free, then tickets range from $12-$17, a whole Family for $47. 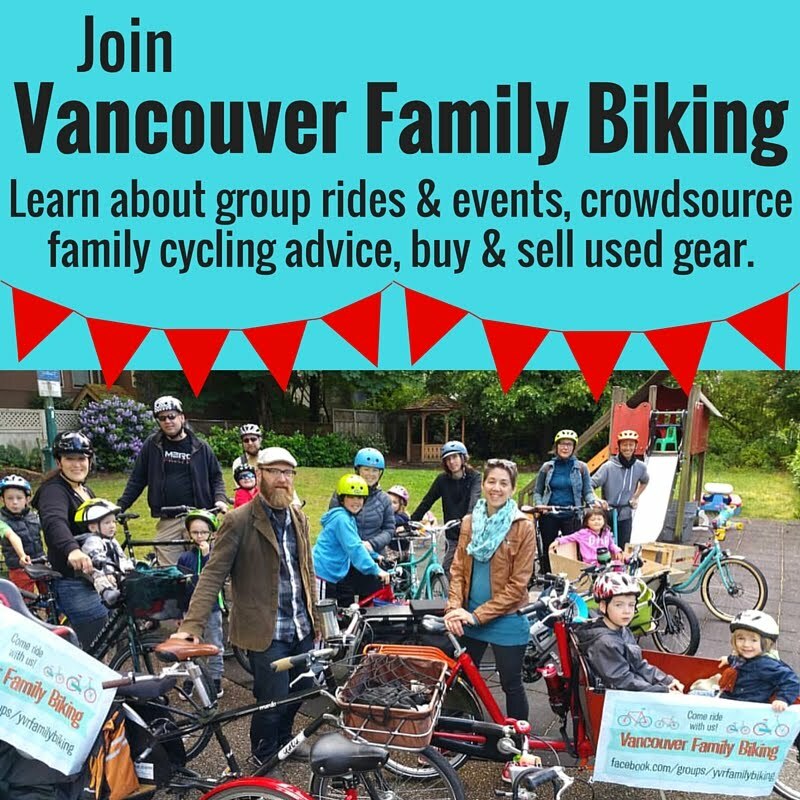 Save a few bucks by getting your tickets in advance on the VMMF website. 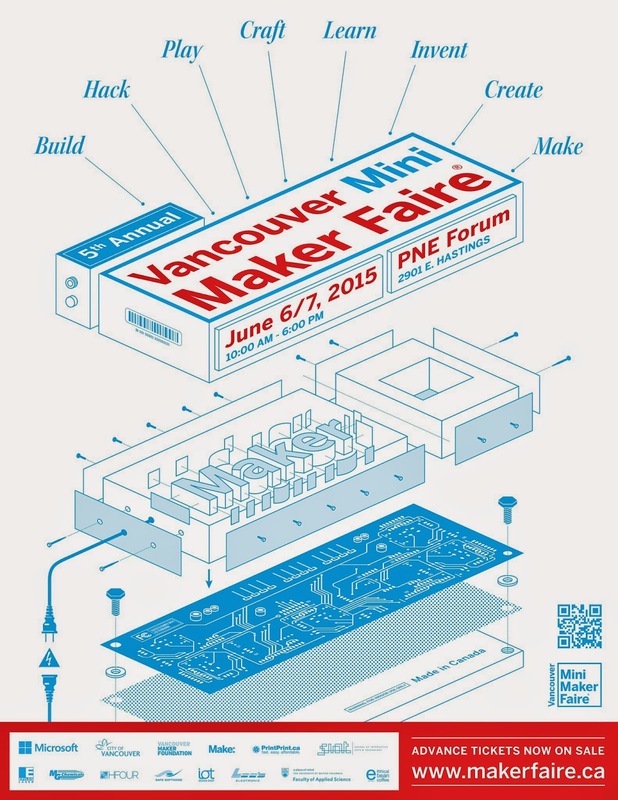 A really great post on Vancouver Mini Maker Faire, keen to take my kids there as well.